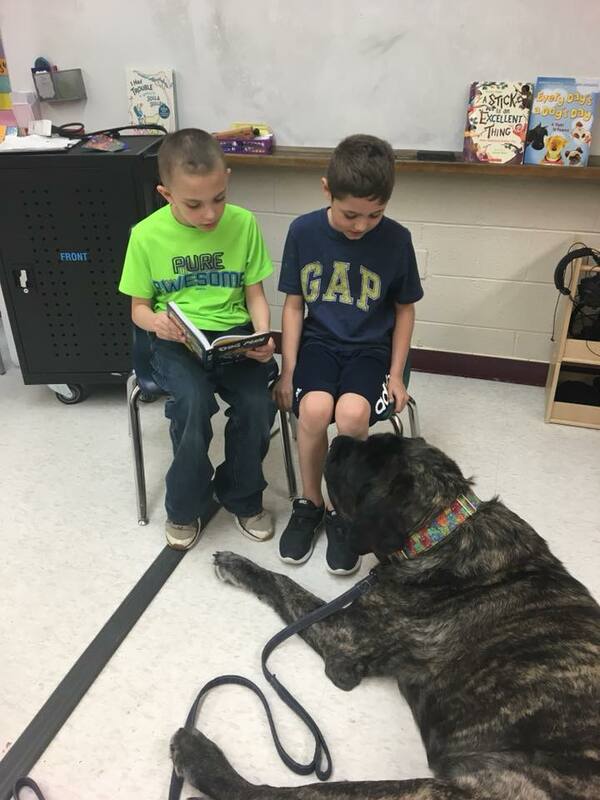 Miss Bobbi Jo and Ross. 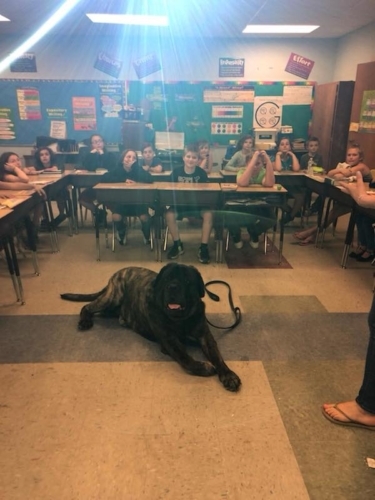 R.A.S.E. started in 2015 as an in-school, pet awareness educational program. 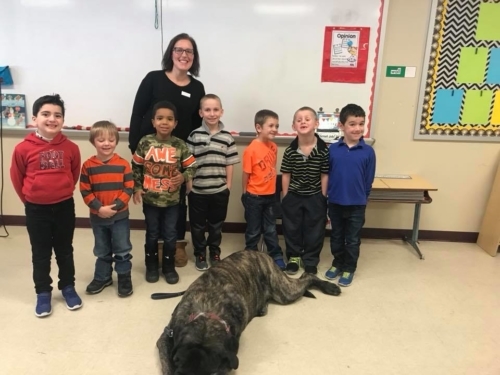 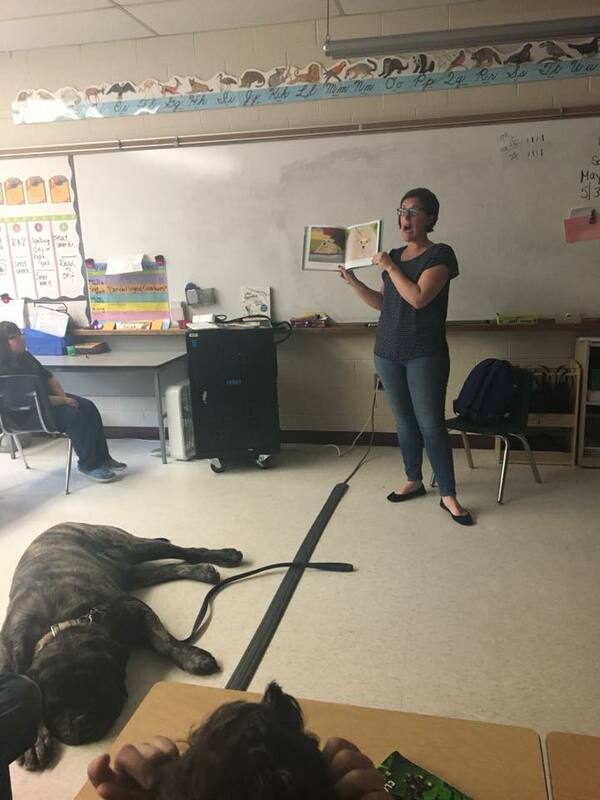 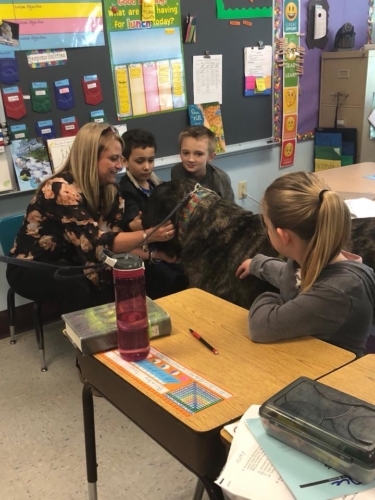 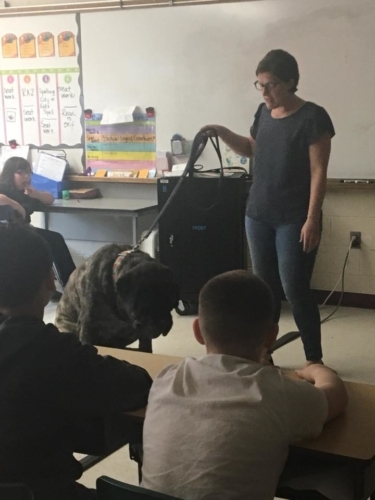 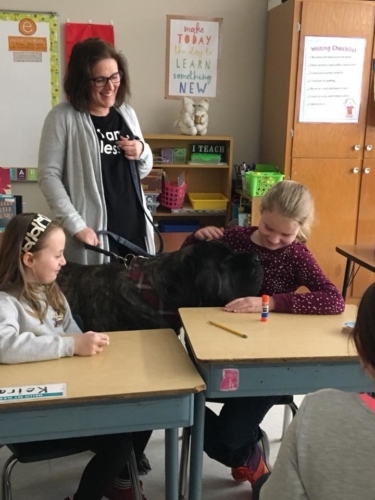 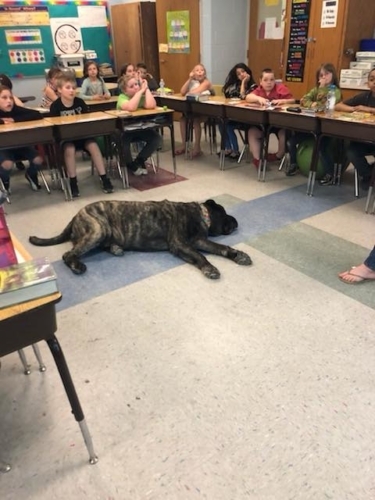 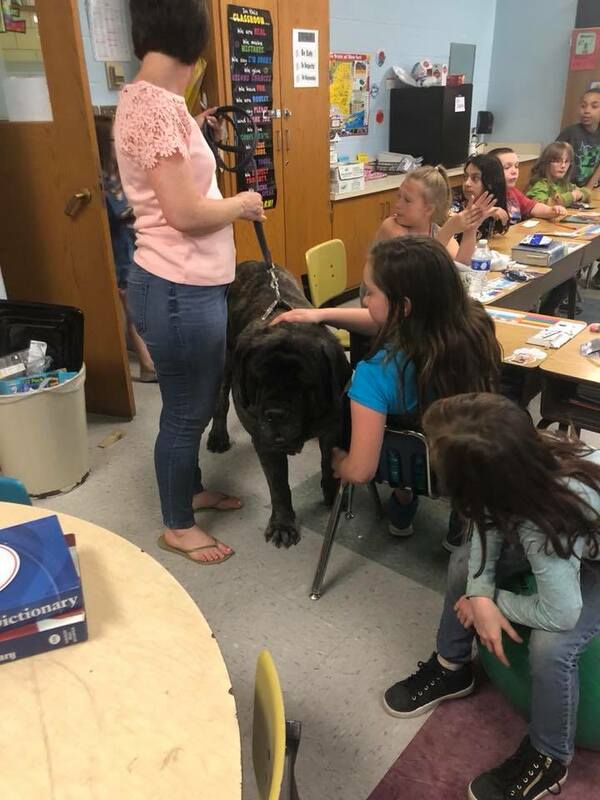 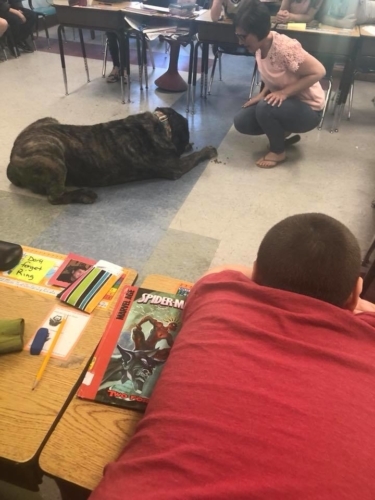 Bobbi Jo, who has a Bachelor’s degree in Elementary Education, takes her dog Ross, a Certified Therapy Dog, to schools to give children some much needed information about being a responsible pet owner. 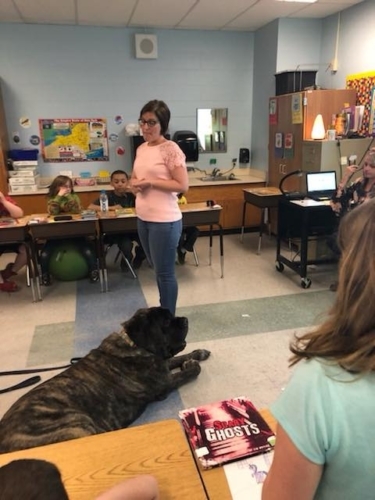 She feels that it is so very important for children to realize that owning a pet is a big commitment and to learn to recognize the signs of a neglected pet. Her thought as she sees many dogs come into the shelter is that if people were educated at a young age about the proper way to care for and love a dog, then eventually there would be less dogs waiting in shelters for forever homes.Her dog Ross attends each class with her and is a willing participant in the class, even having had his ears cleaned during one session! 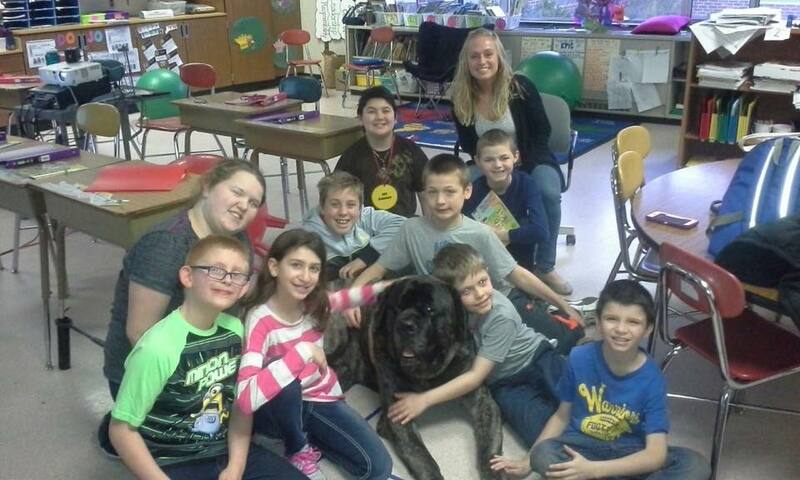 Bobbi Jo and Ross have visited multiple schools in Hamilton, Fulton and Montgomery Counties. When she comes into the classroom, she shows the children a video of shelter dogs from the Regional Animal Shelter, explaining what role the shelter plays in the community and how they themselves can have an impact by planning supply drives. 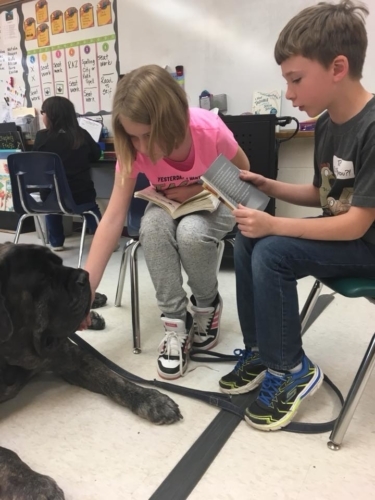 In 2017, R.A.S.E. 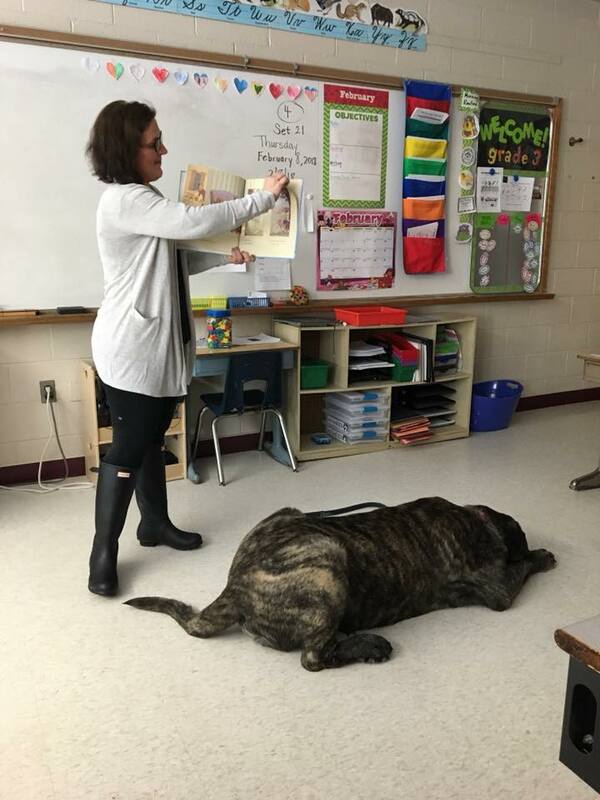 began a standing curriculum with a half-hour monthly class in one of our local special education classrooms. R.A.S.E. has also worked with and will continue to work with students at FMCC, as well as various youth organizations. In addition to going into the schools, the R.A.S.E. Program has also been used to give children from the ages of 12 – 15 experience on what it is like to work at an animal shelter. 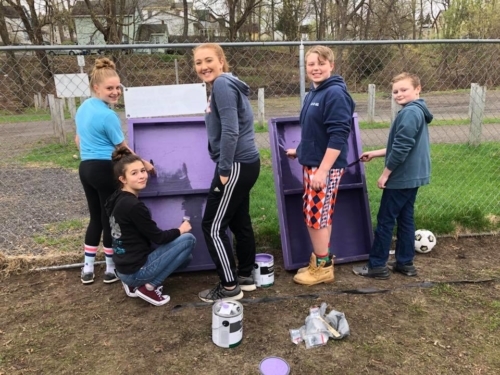 Last in 2016, the Board approved a program for 12-15 year olds to intern at the shelter by cleaning, painting and picking up yard waste in order to teach them what goes on at a shelter and how to take care of animals. The program lasts for 4 weeks. 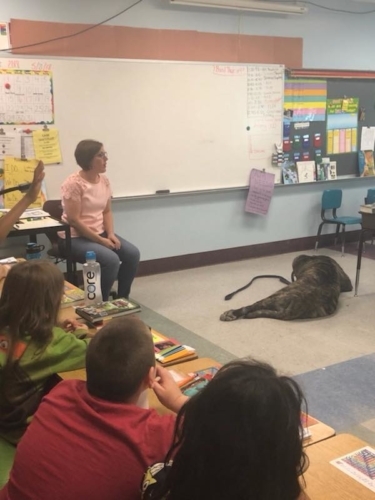 Before the interns are chosen to participate they must write a short essay answering specific questions about pets and their experience with them. 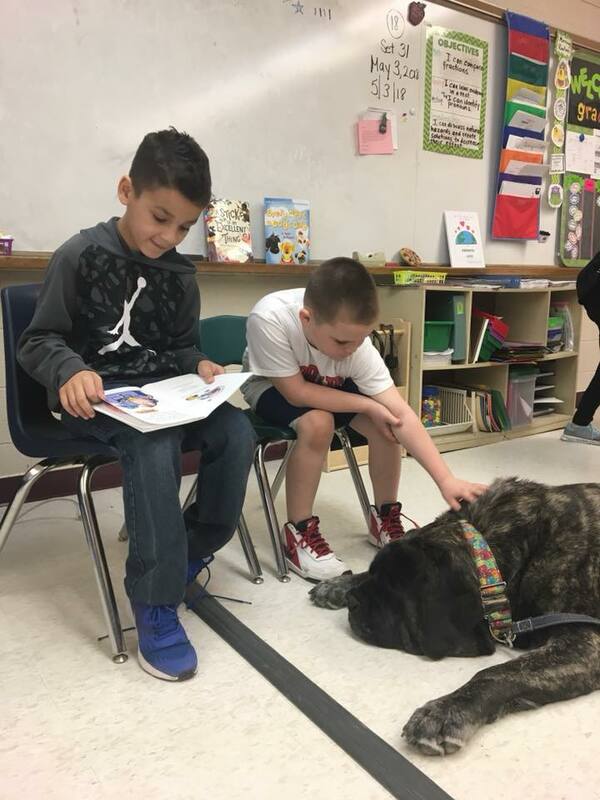 At the end of each day there may be a socialization lime with well-behaved shelter dogs which only serves to make the experience even more of a positive one. Bobbi Jo, and everyone here at Regional, is proud of how far R.A.S.E. 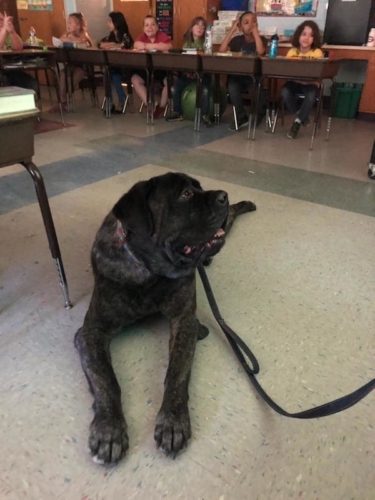 has already come and her hope is that one day, many more shelters in the area will work with her to bring this program into schools and clubs in their areas with the same basic hope of educating young people to property care for pets. 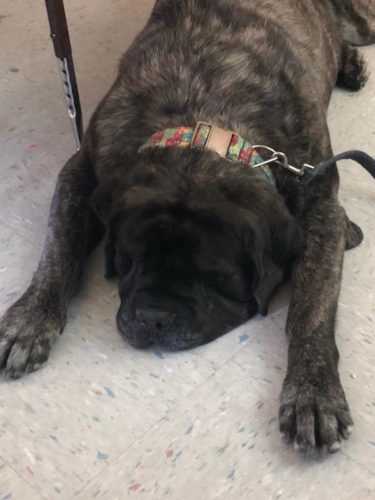 In addition to that, she looks forward to the day when the Regional is able to expand and move into a new, larger facility. 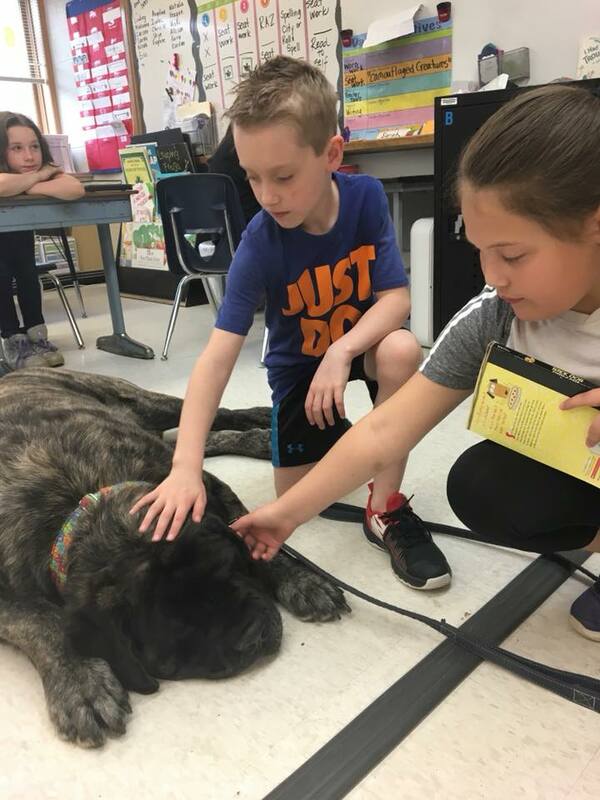 One of the goals is to have an “Education Room” where there could be school field trips to learn about pet care, as well as low cost hands on training with young dog owners so both could benefit from it. 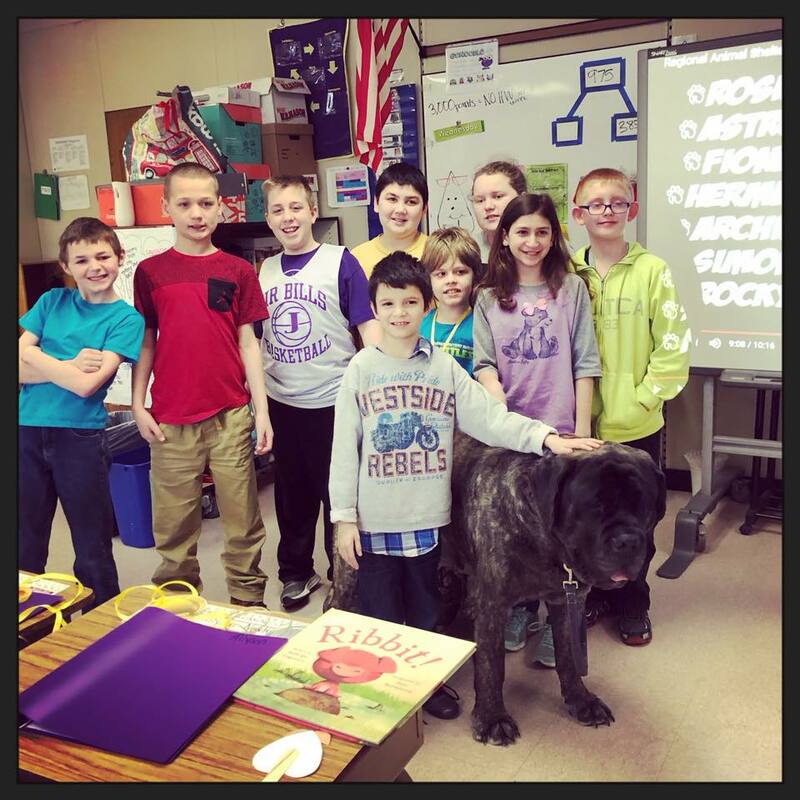 If you would like more information about having Bobbi Jo bring the R.A.S.E. 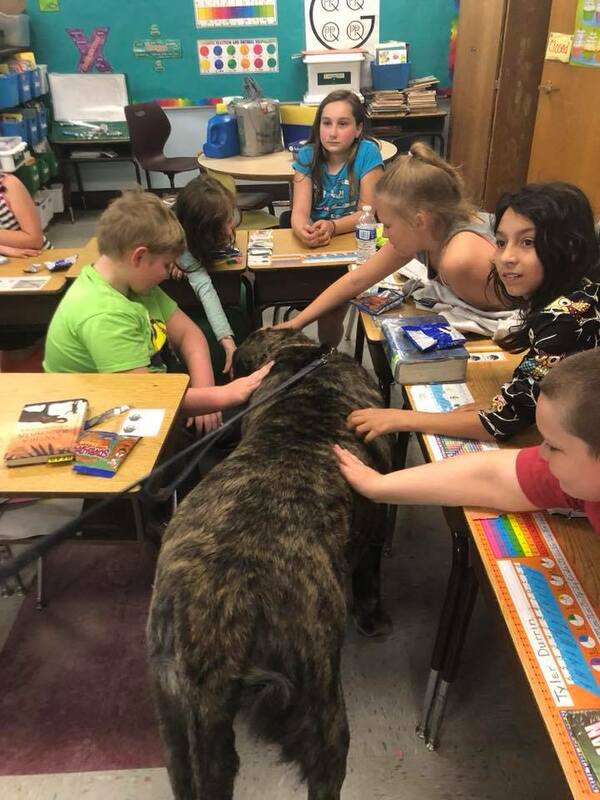 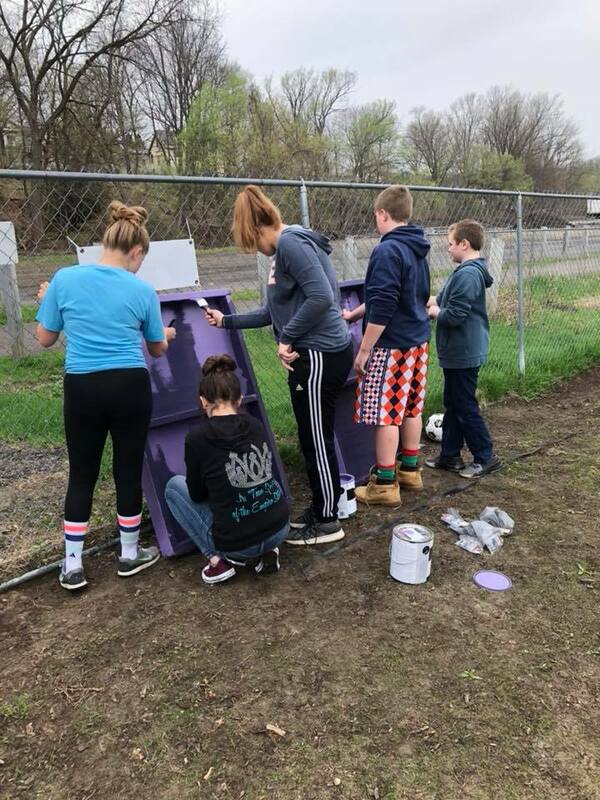 Program into your school, or would like to sign up your child for future shelter programs, please email bobbijo@regionalanimalshetter.org or call the shelter for more information.